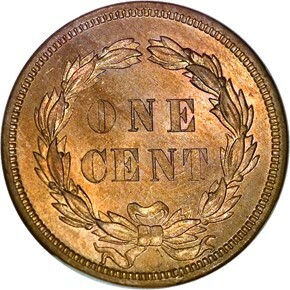 The production of cents was quite high in 1859, as the Mint sought to fully retire the old coppers, as well as the assorted foreign coins that had been legal tender in the USA until 1857. 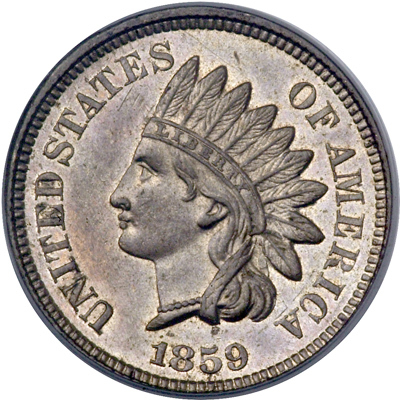 Appearing first as a series of pattern coins dated 1858, the new design which debuted in 1859 was well received by the public. More importantly, perhaps, is that it struck up better than the troublesome Eagle Cents. 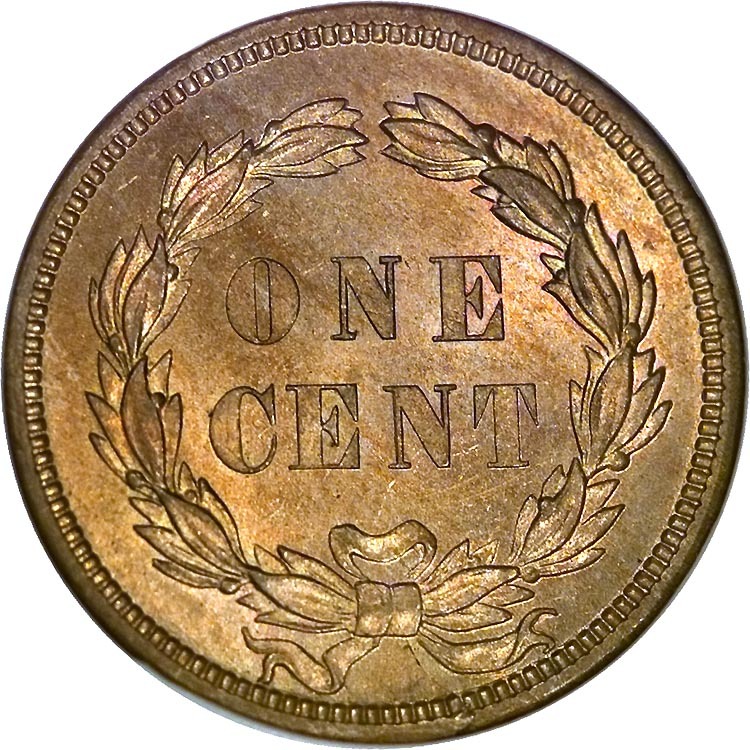 James B. Longacre had been careful to avoid placing the main design elements directly opposite one another on obverse and reverse, and this facilitated the smooth flow of planchet metal into the die cavities. 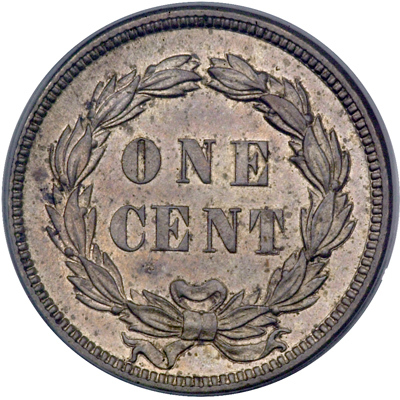 This issue is common in all grades short of MS-65, and it is especially popular with type collectors due to the fact that the wreath employed in 1859 was replaced for 1860, making this a one-year-only design. 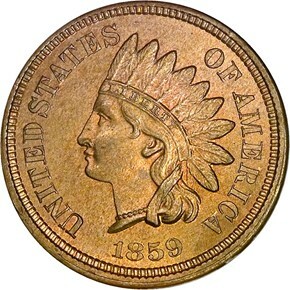 The wreath did, however, find a new life 15 years later on the copper-nickel three-cent piece. Several die-punching varieties are known for this date, and the most popular ones have been included in The Cherrypickers' Guide to Rare Die Varieties. NGC recognized the three listed at left under its VarietyPlus Service.